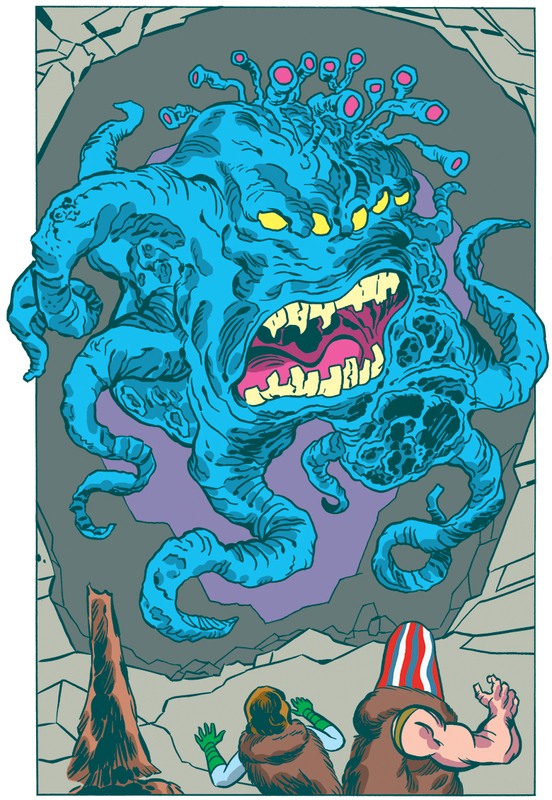 Our creative teams are working hard and doing their best to deliver you four free comic book stories on the 4th of May. 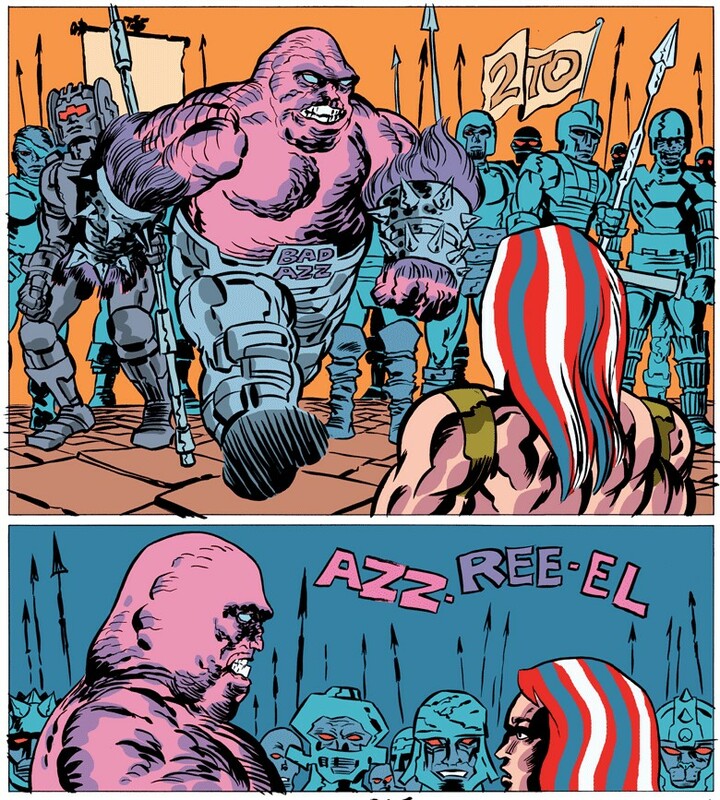 But until then we don’t want you to to suffer from lack of free comics, so this week we want to direct you to Tom Scioli’s excellent American Barbarian. 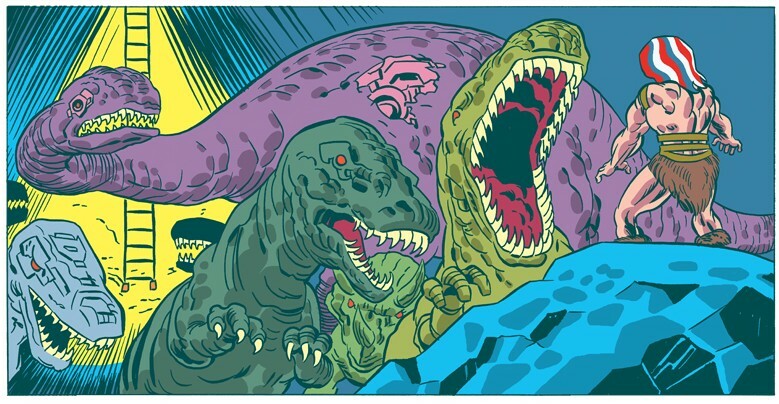 A few weeks ago we urged you to check out the adventures Benjamin Marra’s Zorion the Swordlord, a comic that ought to be hit with fans of He-Man, Conan or Mad Max. 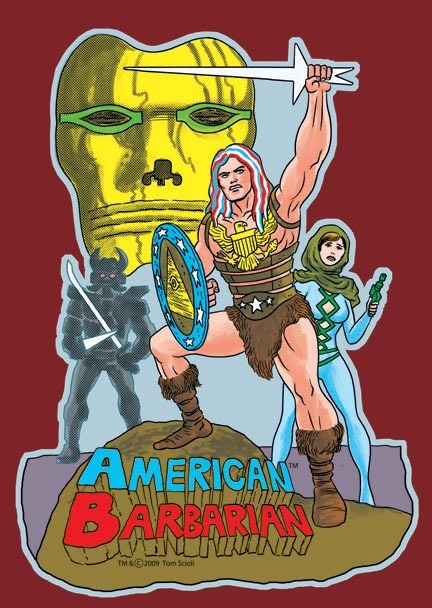 Scioli’s American Barbarian is arguably cut from the same cloth as Marra’s series, but it’s definitely its own beast. The story itself is pretty straight-forward: In a post-apocalyptic world, our hero Meric seeks revenge on the monster Two-Tank Omen, who conquered his city and slaughtered his family. 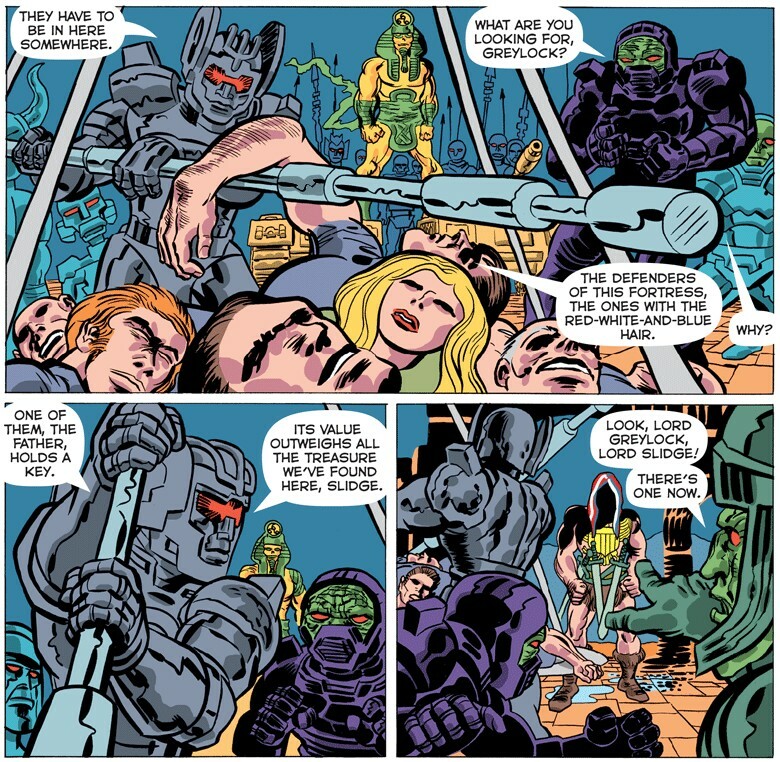 Scioli brings the story to life with amazing some imagery and character designs, making American Barbarian the most epic webcomic out there. One can loose oneself in these hyper-dynamic images for hours, but experience has shown one Outré editor that listening to a suitable record enhances the reading experience. In this case U.S. metal records from the eighties have proved a perfect match (obviously), and he would recommend something in the vein of Omen’s Battle Cry or Manilla Road’s Crystal Logic as a musical supplement to American Barbarian. If you enjoy this series and want to support it financially, then you should know that it’s available as a hardcover from AdHouse Books. 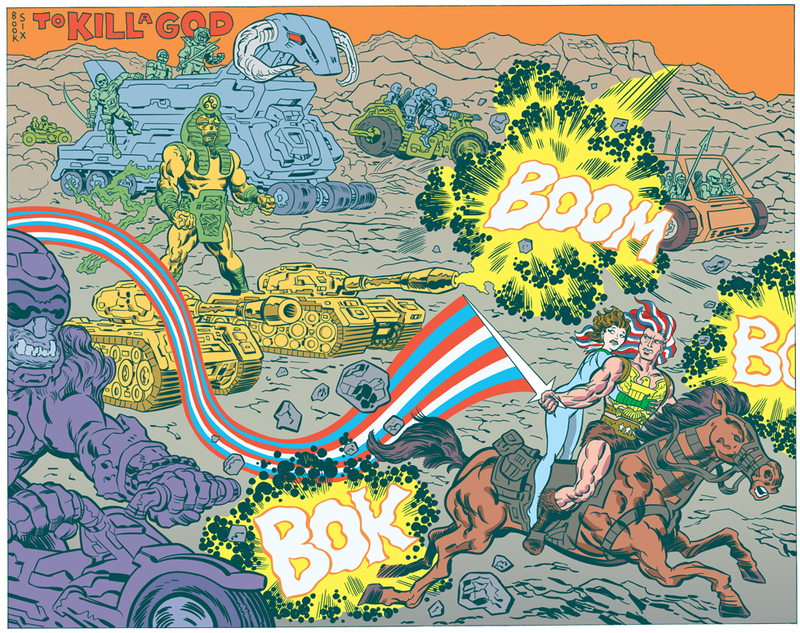 And on the American Barbarian page, you can also check out two other of Scioli’s online comics, Final Frontier and Satan’s Soldier. Before we go we want to remind creators again that we’re still looking for submissions for our third issue. Details here. 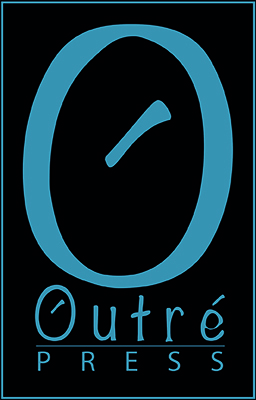 This week we at Outré HQ want to address the artists who are considering being a part of our second issue. 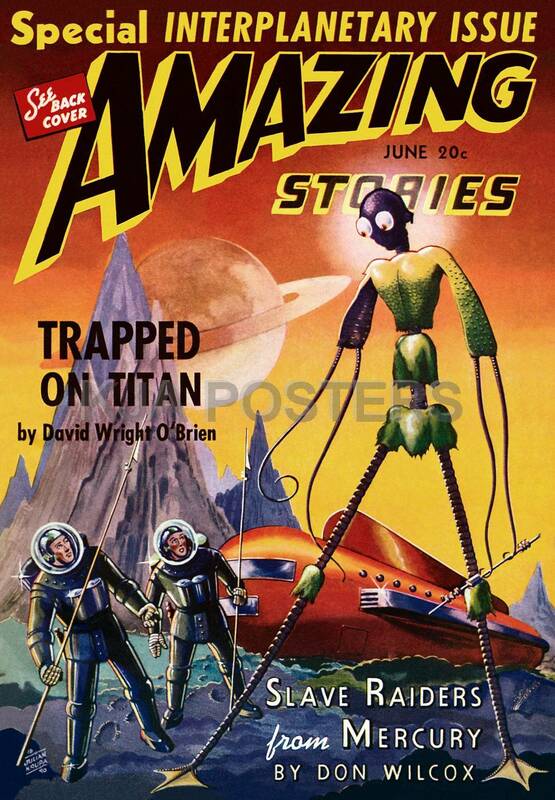 We got four solid stories lined up for this issue, which will deal with the theme of hopelessness. And as we mentioned last Wednesday, three of these are in need of an artist at this moment. Coincidentally, these three stories revolve around women, each of them at a different stage in their lives. The first story is about an elderly lady and how she copes with her existence at a nursing home. This one could be considered “slice-of-life”, though the theme is very much in place throughout the whole tale. This is also true for the second story, in which the main character is a bipolar teenage girl. There’s a touch of magic realism here too, not unlike what Neil Gaiman and other Vertigo writers brought to the table years ago. 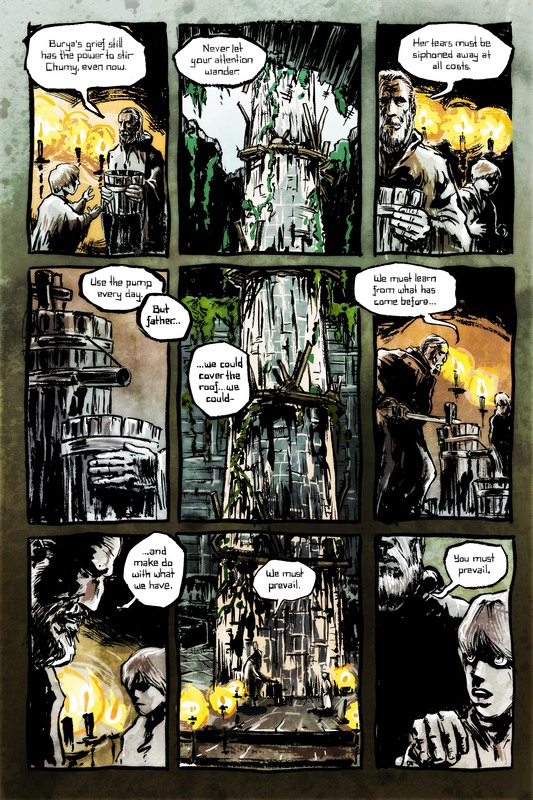 In the third story we’re deep into the genre of post-apocalyptic fiction. Here we follow a woman in her early thirties as she tries to make sense of her place in the world after an alien invasion. If any artists would want to take a shot at one of these 8-page yarns, do not hesitate to shoot us an e-mail with your sequential samples. And as with our first issue, we’re also looking for four different artist who would want to contribute with a stand-alone illustration dealing with the current theme. There is no pay involved, so please don’t ask for this when submitting. What we’re offering is to be a part of a free, high-end comics anthology on the web, which we’ll promote to as many readers as possible. Since we’re aiming for a Christmas 2013 release with this issue, all the artists chosen would be expected to meet the deadline which is September 1. This is over six months off, so hopefully this shouldn’t be a problem. As before, please send all submissions to outrepress2012@gmail.com. 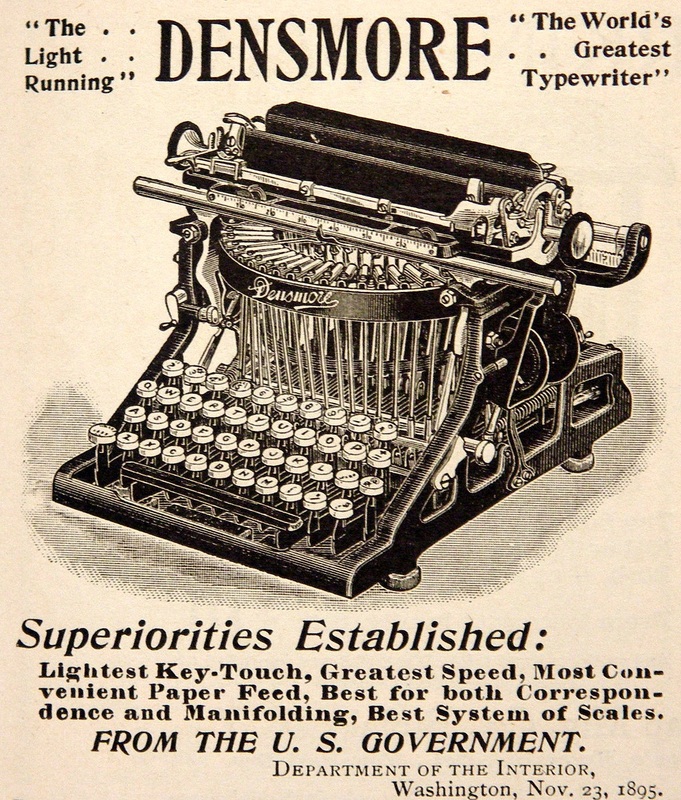 2013 – the year of the Outré! Let’s start with you, artists, illustrators and doodlers! 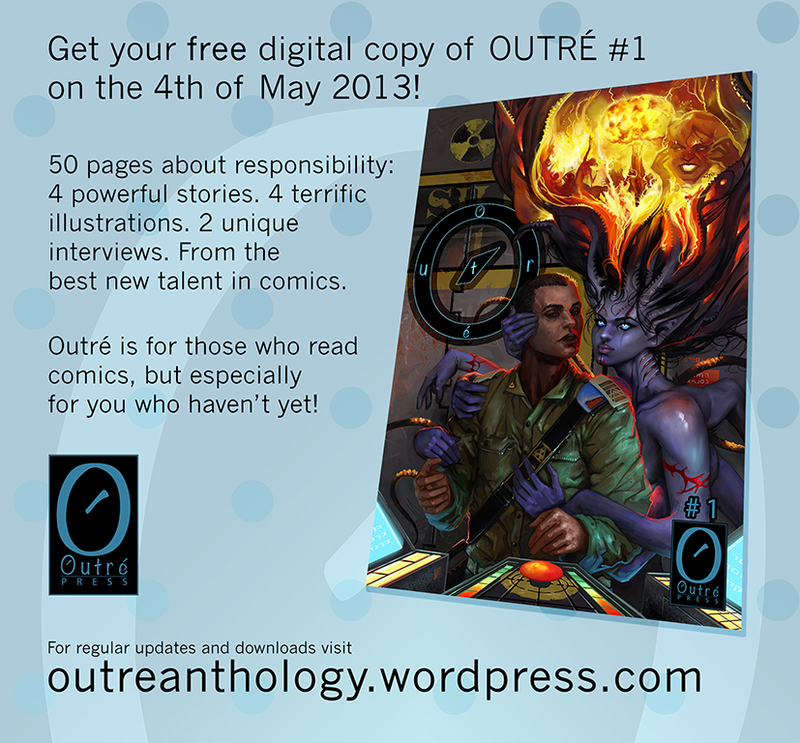 We want you on Outré! Our first issue, about responsibility will be launched later this year. Right now, a handful of artists are working together with the writers to bring the scripts to life. But while we’re working on issue one, we also want to get going on our second issue, Hopelessness, which already has a lot of talent attached. But right now we need 3 artists to join our writers on bringing the stories to life (Our 4th story already has an artist). 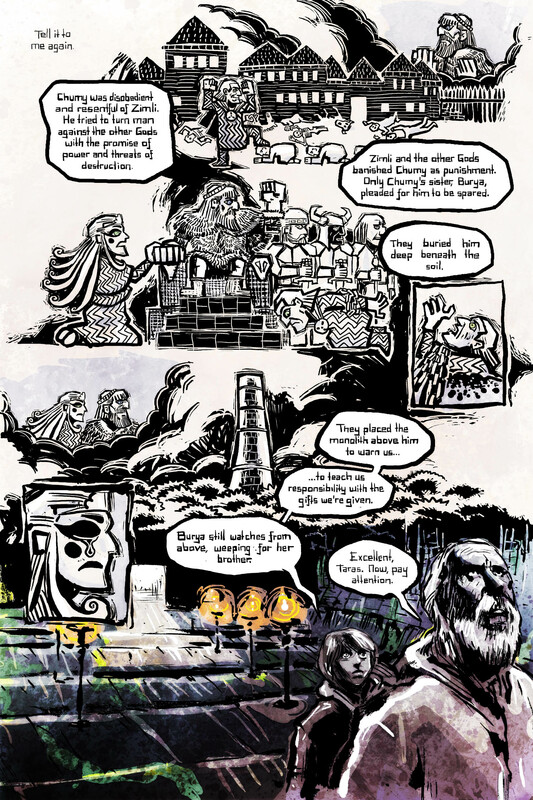 If you’re up for illustrating an 8-page comic script, get in touch! We’re not looking for any particular styles, and we’ll merge the right artist with the right script once we and the writer see a match. But don’t hesitate sending us your sequential samples, be they black/white or coloured or whatever finish you think is your strongest, as we only have 3 spaces. Head over to our submissions page for more information and the contact details! Since we’re off to such a good start, we wanted to lift the veil on the theme of our 3rd issue, (which we hope to launch at the break of 2014). Xenophobia is the theme for our third installment and the submission gates open on the 1st of February. More information closer to the date! Until next Wednesday, stay creative!